In the October school holidays we took a day trip into Darling Harbour to visit the beautiful pair of Dugongs at Sealife Aquarium. It was a gorgeous day out, any day in Darling Harbour always is. 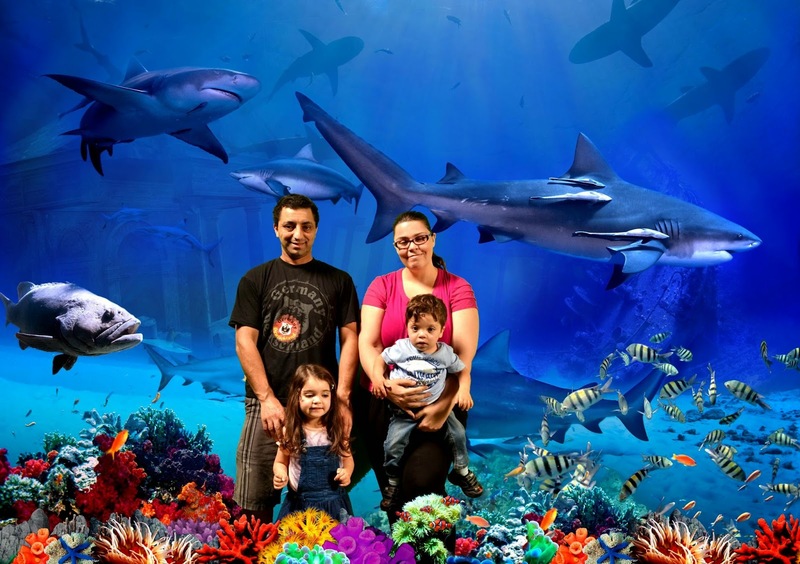 The kids had an amazing time at the aquarium, it was a first time visit for Lorelei and Sebastian, they'd never been before and they were fascinated by the bright fish and sea creatures. 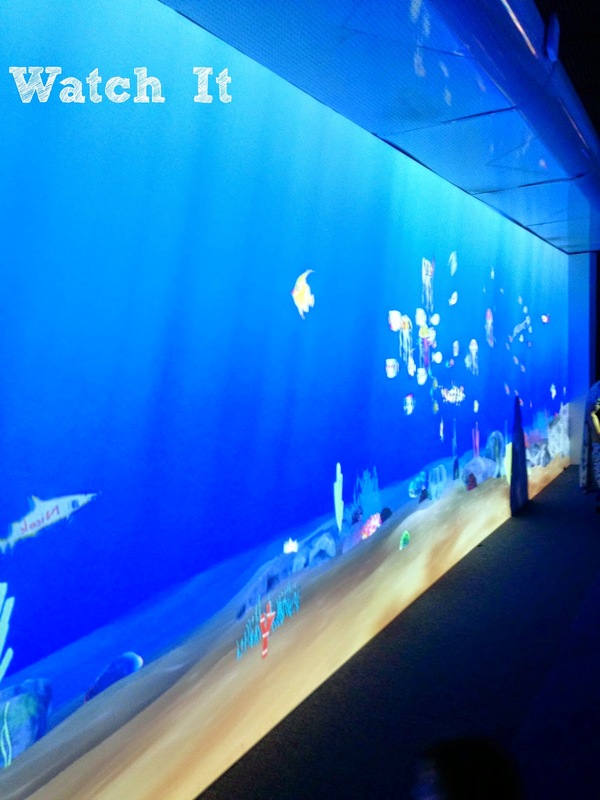 We managed to catch a sneak peek at a new attraction being introduced these school holidays - the seriously amazing digital Art Aquarium that Sealife is using to bring kids creations to life. My photo's of the experience are truly atrocious, the low lights and shimmering water does not make for great photo's unless you have an awesome camera and matching skills. 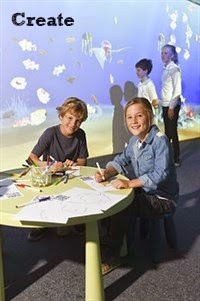 Art Aquarium takes kids artwork to a whole new level. First Lorelei and Sebastian were able to sit and colour in a picture of a fish using some texta's - there were plenty to choose from but the attraction was super bust so we needed to wait a little for a space at the table. Well worth the wait though! Hot Tip: Do make your child's artwork particularly unique. Write their name on it, or a special symbol, something to make it stand out. 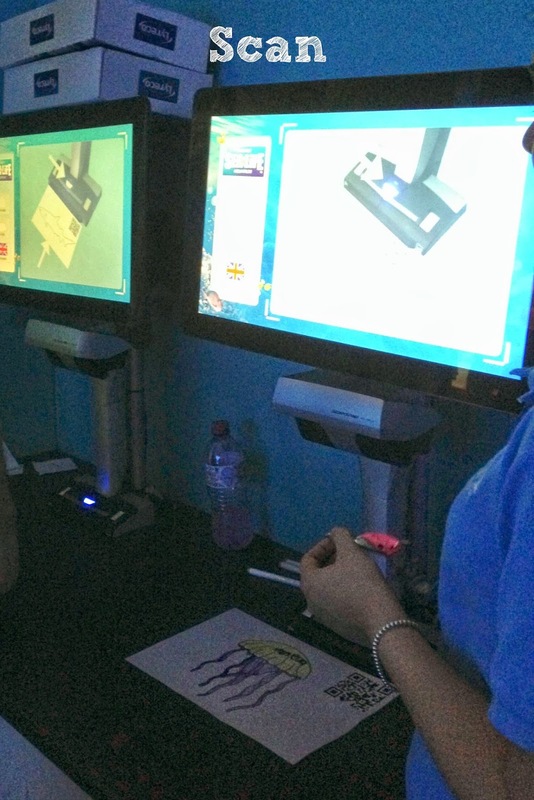 The kids take their art work to a staff member for scanning into the aquarium. From here is it super quick for their beautifully coloured fish to appear in the Digital Aquarium, swimming amongst the other fish. Incredible right? 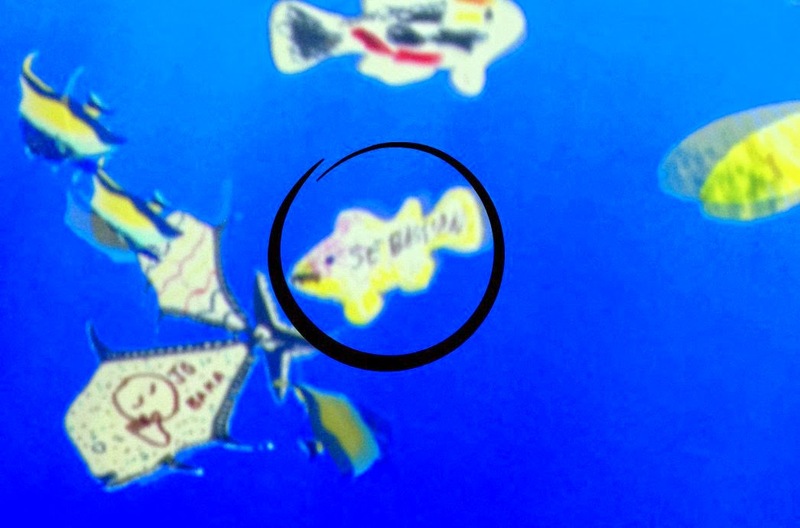 It definitely helped to have written Sebs name on his scribbled on fish, because we would never have spotted it amongst all the others as his colouring is very faint. If you'd like to visit Sealife Aquarium and see the Digital Art Aquarium for yourself I have a pass for a family of 4 up for grabs! I would take the kids again even though we went on new years eve!! Hopefully next time we go it will be a lot less crowded and we would be able to enjoy more of the exhibits including the art one!! Would have a wonderful time with my 3 sons.